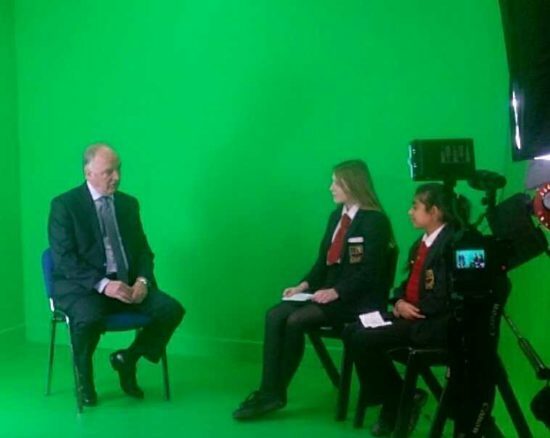 Today, Sir David Crausby MP visited Turton School to lend his support and find out more about the school’s participation in the 2017-18 Beacon School programme. 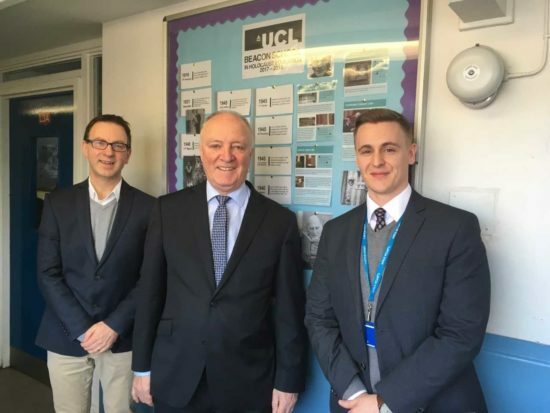 Sir David, along with the Centre’s Tom Haward, met with the Headteacher and senior leaders, the programme’s lead teacher and a number of students – indeed interviewed by the latter as part of his visit – to consider the relevance of Holocaust education today and the challenges and opportunities faced by schools across the country when teaching and learning about this difficult, complex and challenge past. Preparing for the visit, Beacon School Lead Teacher, Scott Tithers reflected upon the value of Holocaust education and what difference participation on the programme is making. “Studying the Holocaust is about studying people, real-life individuals caught up in the destruction of the Nazi regime. It is this human element and the individual narrative that compels our students to want to know more and explore why this happened. This is key to our study of the Holocaust with our Year 9 students”. Of course, Turton School and the 2017-18 cohort of Beacon Schools are just part way through their year, with a Poland Study visit and scheme of work development still to come – but it was wonderful to see Turton School’s commitment to Holocaust education recognised today, and the role of the Centre in supporting schools like Turton across the country to improve provision for and quality experience of Holocaust education through research informed pedagogy and practice. 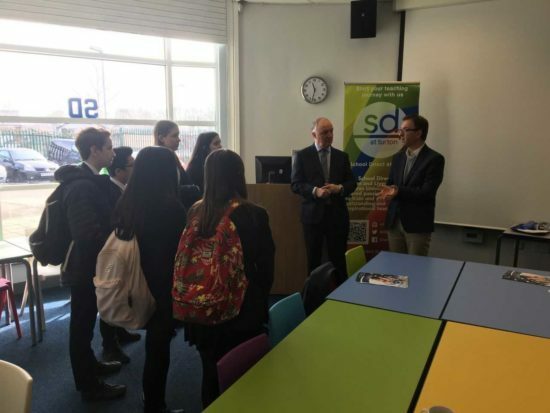 We are grateful to Scott Tithers, Sam Gorse and colleagues for welcoming Sir David, to the Centre’s Tom Haward and the students of Turton School for participating and supporting the visit. Final thanks must go to Sir David Crausby for his time and interest in Holocaust education and Turton’s work.